A new wave of innovation based on blockchain technology is seeking to disrupt a whole range of industries. But is there substance beyond the hype? Andrew Wade reports. So, what exactly is blockchain? It’s a distributed database technology that records and timestamps transactions in blocks, creating a chain that acts as a ledger. The ledger is decentralised across multiple computers, making it virtually impossible to retroactively alter, and thereby inherently secure. Readers will likely be familiar with bitcoin, the digital currency that introduced the world to blockchain. Bitcoin transactions do not require a trusted third-party, theoretically making them efficient as well as secure. However, it is not just financial transactions where trust and security are desirable, and a new wave of innovation based on blockchain technology is seeking to disrupt a range of industries. But is there substance beyond the hype? Gottlieb is a principal director in Accenture’s Aerospace and Defence Practice. These are sectors with a high degree of complexity, involving intricate supply chains, multiple stakeholders, and generally a strong requirement for security. The multitude of moving parts in an aircraft engine can engender a lack of transparency and efficiency. “Where blockchain comes into play — and why it’s cool — is that it starts to solve some of these problems,” said Gottlieb. A traditional, centralised ledger is owned by a single entity, with changes generally not shared. In contrast, blockchain distributes ledgers across multiple decentralised nodes, with stakeholders coming together to form consensus on transactions. As the entries are immutable, there is a permanent audit trail that can be reviewed in case of disputes. The Bitcoin blockchain allows parties to transact anonymously. Actors are not known to each other, but can interact securely due to the nature of the system. This has led to Bitcoin and other digital currencies being adopted for nefarious purposes, such as buying illicit drugs on the dark web and paying ransom to hackers in the wake of cyber attacks. But just as cybercrime hasn’t thwarted internet adoption, these practices aren’t preventing blockchain being adopted for legitimate ends. Companies are exploring private blockchains, where parties known to each other participate inside closed systems. Although some don’t consider these systems to be genuine blockchains — rather, they are classed as distributed ledger technology (DLT) — most agree they have potential. In fact, DLT has advantages over ‘pure’ public blockchains such as Bitcoin. Public blockchains need large amounts of computing power, and in some cases a lot of time, to generate new blocks. Bitcoin transactions can take up to an hour, something the community is trying to solve, but that is causing tension between stakeholders and impacting the currency’s price. Solutions are being tabled to speed up transaction consensus, but no agreement has been reached yet. Private blockchains and DLT are not faced with these systemic scaling issues. Agreement on transaction consensus doesn’t require the same cryptographic rigour, so can occur quicker and without the overheads of computing resources. One area suited to DLT is configuration management, particularly on complex systems such as aircraft. 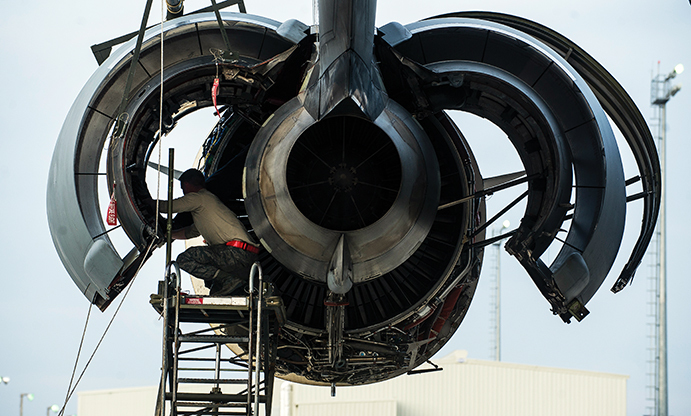 According to Gottlieb, maintaining visibility over every part of an aircraft during its lifetime is a challenging task. On top of this, the business models of OEMs such as General Electric rely on the accuracy of the data they use. 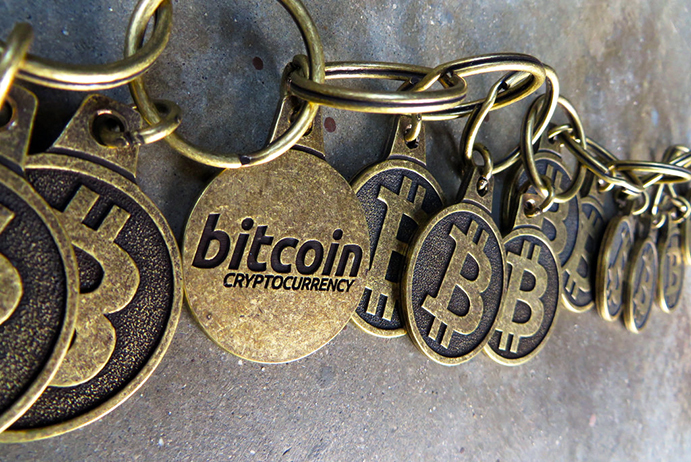 While Gottlieb believes blockchain can help address these issues, others are more sceptical. Purely digital transactions can be governed exclusively by economic incentives and cryptography, but transactions that incorporate action in the real world still require an element of trust. Although blockchain cannot have physical jurisdiction over things such as configuration management, it can act as a strong incentive to act in good faith. If one party claimed to have replaced an engine part, but a quick reference of serial numbers on the blockchain revealed otherwise, that party would be liable. In the world of aerospace, consequences could be severe. As far as public blockchains go, there are questions as to the breadth of their utility. Murray believes their use will be limited to digital currencies, decentralised over-the-counter exchanges, and perhaps prediction markets. We’ve already seen the technology challenge established views on decentralisation and its possible benefits. DLT may not have as profound an impact, but could potentially operate across any industry. In highly regulated fields, Murray believes DLT will hold greater sway, as it is compatible with existing legal and arbitration systems. The burgeoning IoT industry is another where expectations of blockchain’s impact are high. With billions of connected devices due to come online in the coming years, blockchain could play a key role in device identity. Relatively speaking, blockchain is an incredibly young technology, the long-term impact of which is hard to predict. True believers claim it will transform society, while others are suggesting that the emperor may be underdressed. Part of the fascination over the coming years will be seeing who is right. Joking apart: let us hope that the ethical hackers (theirs and ours?) are not let loose in it! Bitcoin transactions do not require a trusted third-party, theoretically making them efficient as well as secure. However, it is not just financial transactions where trust and security are desirable…..
Is it seriously suggested that those who presently act as ‘banks’ and ‘mercenaries’ in disputes represent ‘trusted’ elements of commerce. Frankly, based upon their recent performance two groups less trustworthy, it would be impossible to find. I don’t know if it’s just me failing to understand the concept or whether the article addresses too many subjects in passing but I’m struggling to see how blockchain addresses problems of inventory/supply chain/configuration management. Any chance of focusing on one potential application and explaining by way of example? I can understand actual coins, and I understand gold-backed currency, even currency based on the full faith and credit of a government (such as my own, United States of America dollar). What I still don’t get is a “currency” that is so hard to understand the basis of, that I would never use it, even if that was the only currency. Barter comes to mind. “Blockchain is on the steep upward path to the peak of inflated expectation,” What???? More jargon. Any real benefit? Murray is a dinosaur and in for a big surprise, decentralisation is upon us and will transform the world before our very eyes. so, which problems does the (public) blockchain solve? -Ownership. Titles can be conferred to the chain in such a fashion that they are immutable to all but the private key owner. -Trust. The blockchain does transactions based on cryptographic algorithms, effectively making it a ‘trustless’ system. You no longer need trust to make a transaction, and as more come to experience this they will snub ‘trust’ systems which are man in the middle systems, which take their cut and in some cases attempt to control flow. -Getting the billions of unbanked on the planet ‘banked’ by downloading an ap to their smart phone. They can now freely, and cheaply trade with the entire planet, not just the local village, and gain access to funding for their business ideas. The possibilities are endless…however when you go to private blockchains, trust comes back. How can you trust the code that you cannot read? Hi Jake. Mr Dinosaur here. So on ownership, the blockchain was designed to solve the double spend problem for ‘purely’ digital currency transactions. It does this very well (at tremendous cost) and hence is the single source of truth for ownership of bitcoins. It doesn’t decide ownership of anything else because it’s just a ledger, not an omnipresent all-seeing deity. For example, if someone steals the private keys to Granny’s house and transfers ownership to themselves is the blockchain the arbiter of ownership or would that be the court system backed up by an army? I hope I don’t have to explain the answer. The ‘trust machine’ meme regarding blockchains is also a mirage. If you run a full node you can have a very high level of confidence that your TX is legit as you can see the entire history of TXs but that’s where so-called ‘trustlessness’ ends. Miners still have to be trusted not to put backdoors in their hardware (as Bitmain were caught doing) or not to hard fork the protocol (as ViaBTC have just done) and exchanges have to be trusted not to fraudulently manipulate prices (as MtGox did and Bitfinex are strongly suspected of doing). The idea that a ledger administrated by an anarchic mob on the internet could be more trustworthy than accountable public servants operating in separated powers governance system is quite frankly laughable. I’d hope you agree that blockchain for electronic voting isn’t much of a help if you spoof voting cards or hold a gun to someone’s head when they’re voting, which is how elections tend to be gamed in the real world where people live. If you don’t want votes to be manipulated subsequent to the vote, use tamper-evident cryptography. We’ve had this for years and it works just great. The last time I checked medical records didn’t have a double spend problem. If you want to give people self-sovereignty over their medical records – and this is very much desirable – a distributed database with digital signatures and appropriate permissions works better than blockchain ever could. Imagine the humanitarian disaster if someone cracked the encryption on an immutable publicly viewable blockchain that contained everyone’s medical history? The problem with the blockchain space is that it is populated by ‘dinosaurs’ that want to unlearn most of the lessons we’ve learned about governance, money and computer science over the last thousands of years. In the end, people who can see the wood from the trees will be proved right and the floor will fall out of this insanely over-inflated market. Claran, I did not apply the label of ‘dinosaur’ to be derogatory, but to point out constrained thinking. This is normal, as the blockchain is so revolutionary, you have to think about it in new ways. Sure, you point out some potential (and some non) issues with blockchain technology, but you are still missing the point. Lets start with ownership. Several blockchain startups are working on this very issue. You could hold all your titles of ownership in a ‘wallet’ that requires a little more than your private key to access. Biometrics, password, voice analysis…all the above maybe. You also misunderstand the ‘trust machine’ part. Conflating Mt Gox servers with the blockchain shows you do not fully grasp this. Any purchases of Bitcoin on their servers (this is the case for all but decentralised exchanges) are not recorded on the blockchain. They ran an I.O.U. service on their servers. Of course these can be manipulated, as can any centralised service (even NASA get hacked!) or end use device (many bank accounts are hacked after a key logger has been installed on your machine). But these are security issues, rather than the ‘trust’ feature the blockchain offers. As for miners, yes they can as you say ‘put back doors in’ BUT, when I send you a bitcoin, I broadcast that transaction out to 100s of nodes, all of which are going to tally up the block they received. When the ‘back doored’ one doesn’t tally…well, that node can either go with the consensus or is forced to split from the blockchain and form their own with the other miners/nodes which agreed with it. A bitcoin miner would be stupid to do so (caveat coming) as they would no longer be processing (read earning) bitcoin. Lets not confuse this with a blockchain split by design, as just happened to the bitcoin blockchain, which was enacted because the community couldn’t reach consensus on how to develop (upgrade) the software going forward and 10% split off to form a new chain. If you held Bitcoin, well now you also hold an equal amount of bitcoin cash. Yay! …have to go to a meeting now, but I will deal with the rest of your post later. You are correct that decentralised systems can struggle to match the efficiency of a well designed centralised system, but do not conflate that with expense, which can be from system operation/maintenance point of view, or end user. I am sure you mean both, and indeed you link a Bitcoin article to make your point. Bitcoin has become a very poor example of a blockchain suited for day to day transactions, but it is still a very useful one for storing value or making large purchases. This is the reason the bitcoin chain went through a recent split. The bitcoin cash team want to upgrade the network in a way that enables faster transaction confirmations, and very low transaction fees…they are chasing the mass market day to day purchases. Bitcoin (core) want to remain a store of value, as only they currently occupy this niche in crypto-space, and quite frankly the miners are being greedy with their transaction charges. Is this a problem? NO. Litecoin and Dash, just to name 2, are quite happy to occupy the void and become payment means for day to day stuff like a cup of coffee, with transaction costs under a penny. They saw the problems with the bitcoin chain (indeed they are forks of bitcoin) and developed their solutions to address them. Hurrah, more choice and functionality for you an me. Lets compare this to a traditional bank, where the debit card user is paying for the bank’s infrastructure, visa’s infrastructure, the card payment system’s infrastructure, and the retailer’s transaction charges. Buying the same coffee with Litecoin removes a lot of middlemen (waste) between you and your coffee which should translate to cheaper coffee. The only other actor is the miner who solves the block (transaction) and get the reward (payment for running the network). Decentralised blockchains solve other banking problems too. Just the other day, I couldn’t use my debit card because the bank’s computers were down. A big weakness of a centralised system. Taking this point to its logical conclusion, I won’t lose access to my funds, ever, as long as the internet is running with a decentralised blockchain fund. My account cannot be frozen (maliciously or deservedly), and I don’t need to go through an onerous face to face with loads of documentation proving I am who I say I am. Now, lets ponder some of those Africans, completely undocumented, and hundreds of miles from the nearest bank. Most probably have a smart phone though, and can download a free secure app to get started. Are you so sure that blockchains are not the answer to this problem? I could say say much more about banking…but I would need an entire article! Your voting comments make little sense to me. If someone puts a gun to my head, I will vote the way they want. With a blockchain solution I can vote from my home. I am sure you are not suggesting that squads will be sent to every house to make them vote a certain way. As with a gun to my head, I’ll even take them to the cash machine to give all I can. That aside, you cannot tamper with blockcahin if implemented like bitcoin, with the voter registered properly as per the land registry example. No spoofing a voting card will help the voting fraudster. As for current electronic voting systems, they are easily penetrated. See ‘fraction magic’ on youtube in which a ‘white hat’ hacker changes voting results in under 2 minutes to whatever he wants. Pretty much everything you said there is wrong. Time will show I’m sure. RE voting, the voter is also able to audit their vote once the result is to confirm that the system processed their vote correctly. At the moment we have to trust 3 parties to do that job, which particularly in the case of postal voting raises eyebrows. All that can go away! Moving to medical records. Why would I trust any centralised system, of which their are numerous examples of data leaks, hacks, and data sales. No, I much prefer a blockchain solution, accessible planet wide (some countries run firewalls!) from which I determine which information can be accessed and by whom. Not all problems are about double spend, some like myself place value on privacy, another solution provided by the blockchain, also very relevant to medical records. Yes, it is technically possible to hack a blockchain. Have you any idea of the computer resources that would be required? It is in the order of the Manhattan Project to do that to bitcoin. Therefore, I’ll consider that one negligible, as who is going to devote those kinds of resources to steal my medical records? I see you do understand the application regarding IOT. Correct, an excellent way to attribute identity to ‘things’. Now as for blockchain space, I am not going to pretend that it is an all singing dancing technology. Some things are better centralised. Search is a good example, data storage another. It is very inefficient to index and store large chunks of data on a blockchain. What the blockchain does very well though is provide the solution to eliminating layer(s) of waste, or middlemen, of which their are many examples I could give you. It returns privacy to the user in an age where all our electronic interactions are monitored. It provides a system where the transaction can be trusted. It can confer ownership based on block stamping, useful if you sell ticket events. There are so many more problems being solved with this technology. Did I mention smart contracts…wow, worthy of another article! In the end, we are not seeing a bubble inflated. You will know it is when your next door neighbour is ready to tell you about some great blockchain app they just discovered. We are far from that time. Just ask your neighbour what Etherium is and witness the blank stare. Or not the current market cap of all cryptocurrencies at just over $120B. Many large banks transact trillions every day. This is not the end, but the beginning, and those prepared to look at it with an open mind and implement it where it makes sense will own tomorrow, whether your business is banking, engineering, or supply chain management. We will all be using blockchain systems daily within a few years. My advice to you is get on board early. Blockchain platforms are software platforms. They run into errors and growing pains (see the bitcoin article claran linked), but like all software can be upgraded. The networks can be sped up, increase security measures, or split off to grow in different directions to tackle specific problems. Remember, open source chains are preferable in many cases because they remove 3rd party trust. Also, at least 2/3rds of the 100s of crypto-currencies currently on offer are going to go away…unless they perform value that others do not. Most importantly, keep an open mind. As the old must give way to the new, so must our thinking on how problems are solved. …just can’t help myself, its very exciting stuff!